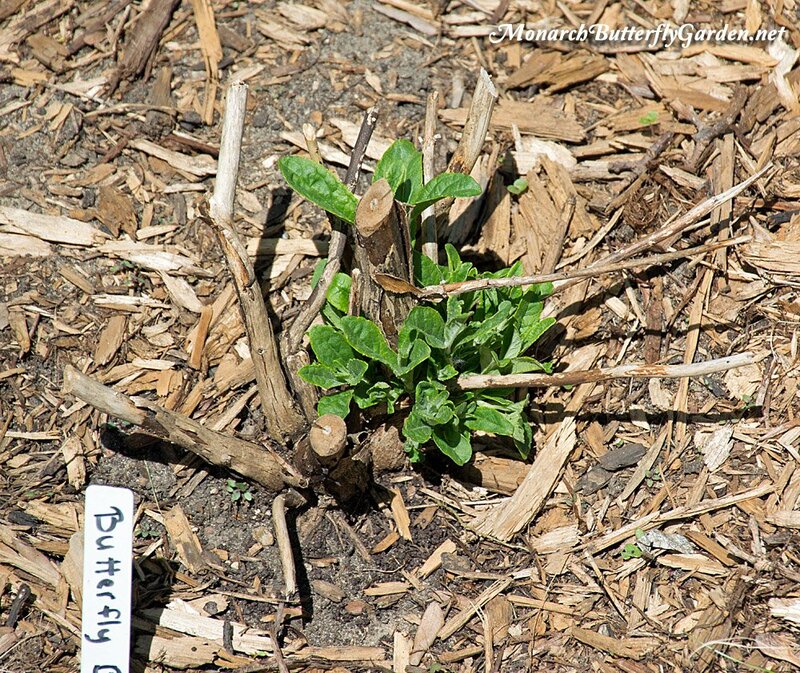 Cold hardy compared to traditional varieties- ours survived the 10th coldest Minnesota winter on record! Deadheading required for optimal blooms and to control potential seeding. If you can’t/won’t deadhead, seek out an alternative plant solution. Butterfly buses are not host plants for caterpillars…True! This is why our garden isn’t planted with 100% butterfly bushes. We also plant milkweed and host plants for other native wildlife. There is room for both in many gardens. Why do so many choose to harass home gardeners with ridiculous (and unnecessary) native ultimatums? Liatris ligulistylis is a popular late-summer native for butterflies that is not a host plant for caterpillars. Should we dig out all our liatris and only plant milkweed? Only a few pollinators will use butterfly bush? This is simply not true. I see many different pollinators on butterfly bushes and it supports butterflies, moths, hummingbirds, and many other smallinators. If you don’t have experience growing butterfly bush and refuse to try on native principle, how do you really know if you are spreading reliable information to others? Butterfly bush is on an invasive species list: yes, specific varieties in specific regions like the Pacific Northwest. Buddleia cultivars are designed to be non-invasive and some are even sterile. Here is some reliable info about the potential problems surrounding Buddleia. All non-native plants should be grown in a controlled garden setting when they can be monitored for potential issues. Cut- deadhead spent blooms to promote new flowers. If you don’t deadhead, butterfly bushes probably aren’t a good option for your garden. 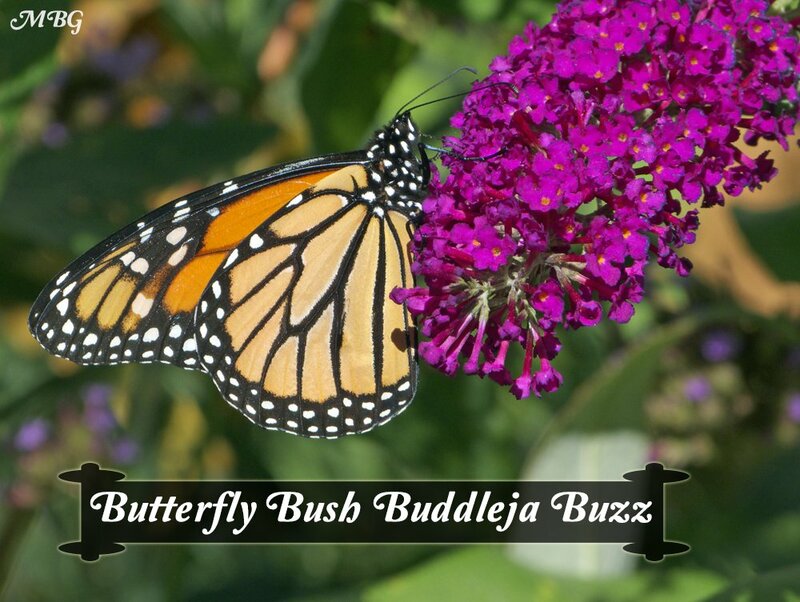 Buddleja buzz is also a popular nectar source for bumble bees, hummingbird moths, hummingbirds, red admirals, red spotted purples, skippers, tiger swallowtails, and many other pollinators! Hi, is it too late in the summer and too hot to plant this in Columbus, Ohio (zone 6a) in middle of July? Thanks! Hi Tony, I live in Winnipeg. We are zone 3. I don’t think my butterfly bush will survive our winters. Do you think I could bring it inside our home into a cool room. Do I trim it back? Keep it in the dark? Water? Any suggestions would be appreciated. Love your site. I have 3 butterfly brushes, 2 lavender and one magenta. They are about 5 feet high now and they were to be dwarf? Love them a lot. The butterflies love them. I get all kinds of butterflies from Monarch, Gulf Fritillary, Zebra Swallowtails, Black Swallowtails, Tiger Swallowtails and more. I am so glad I put them last year. I put them in last fall. Tony do I need to cut them back in the Spring. I live in Zone 9a. I covered them during a freeze but they are so big now, should I cover them again this year? when is the best time of the year to take buddleja cuttings? buddleja roots pretty easily…you might try rooting some while there is still some warm weather left. Have had 3 Buddleia Buzz in a large Community Park for last 6 yrs and not one seedling. So this objection can be put to one side. As can the objection that it reverts back to the large Buddleia. These were objections by the local Parks people initially. Now 9yrs old they can now grow to some 8 feet with so many flowers we sometimes have to cut to keep it within range of our deadheading volunteers. It looks great. We cut it to 6 inches in late Feb. I am going to plant a buzz butterfly bush. If I plant one now, will it have enough time to grow to survive the winter or should I wait until spring to plant? I’m in zone 4 MN. Thanks! I’m looking for a butterfly bush with true light blue flowers similar to forget-me-not blue, not purple. Is there a variety that will give me that true blue color that will survive Michigan winters? Hi Jeri, butterfly bushes are a but iffy in northern regions but I have had good success with the buzz varieties and we have a bicolor butterfly bush too. The sky blue ‘buzz’ variety is probably the closest to the forget me not blue from what I can tell from photos…we haven’t grown that color. I’d like to plant a dwarf, sterile butterfly bush in my Florida (Zone 9a) garden. I’m a snowbird and won’t be available to deadhead blossoms until early November. Does this mean I shouldn’t plant this bush? Hi Kris, I have never heard of butterfly bush being invasive in Florida. In fact, most reports I’ve heard are that it doesn’t grow well and the plants often die. However, I would check with a local resource to see what they say about growing it in N. Florida. Good luck! I grow it in Fort Lauderdale–you need to get a few, and go trial and error on various locations in the yard. The trick is, they don’t like “wet feet” but they need a lot of water. In hot dry fort laudie summers, I’ve found success by putting them in large containers, and putting an old bowl about 1/2 down the pot. Container goes in a semi-shaded area where it gets full sun from about 8am-11am; then dappled shade til about 4/5pm, then shade as sun goes behind the house. Plants that are sold for full sun in zones 1-6ish are NOT full sun here LoL!! If you are gone all summer…I would expect to be buying new ones, unless you can invest in an auto tuned sprinkler!! I’m totally addicted to Butterfly Bushes. I never really appreciated there effects in the garden until I planted “White Profusion”. I brought 4 quart sized pots from Walmart many moons ago. All 4 have grown over 4-5 feet wide and 6ft high and have absolutely become a “nectar beacon” along my driveway. I’ve read these big white flowers top the scale in nectar production! From personal experience with these babies i can tell you these bushes will bring any and every pollinator to your immediately area. I’m just now growing “Black Knight” as a single specimen plant and 2 “Pink Delights” that I’ve become very fond of. Any personal experiences with “Black Knight” ? also “Pink Delight” ? I’ve read of a bi-color variety but not sure on its growth habits. Thinking of incorporating some different color varieties. Hi Reginald, I’ve tried ‘black knight’, ‘white profusion’, and ‘pink delight’ but none survived our Minnesota winter. We do have a bi-color that came back nicely this season…next year should be the year it ‘takes off’ if it comes back again. It’s still blooming here in late October. Great to hear you are having so much success with white profusion! Hi Tony ~ I am so happy I found your site. I live in Zone 4 of Colorado and would love to be able to have a butterfly bush. Most of the info that I see shows the Buzz bush is only cold hardy to zone 5. Have you found this to be un-true? Do you have to take extra steps to ensure the bush survives the winter? Hi Stacia, the buzz variety have been pretty cold hardy for us in Minnesota. I would plant them in spring and then much them with leaves over winter. They are not a sure thing, but if you can get them to come back perennially, they’re an amazing butterfly plant. This looks like the most appropriate place for this question. My white butterfly bushes are the rock stars of the butterfly gardens, but none of them are in a spot that’s great for morning photographic work, and the white blooms always give me exposure problems. Actually, they give me fits! I picked up two potted specimens yesterday, a Tutti-Frutti-Pink-Flutterfly and a Dark Knight to try and get some better photo op’s. Andy appears not to have had good luck with the Dark Knights in Cal.. and I was wondering if you tried any up at your place and what you’ve found out about them? I’m in Zone 6, Mid-MO, so your findings might be close to what I’m going to see. I can trick a few with sugar water while I’m working on them with the cam and ‘pod, but it would be really nice if they attracted good numbers of butterflies all on their own. Lastly, are the “Buzz” varieties the best combination of dark blooms and nectar production? Hi Mitch, we have a bicolor butterfly bush that is doing well that we got from botany shop in your region. We have had good success with the buzz variety, but not sure how nectar production compares to others. Keep me posted on the news varieties you’re trying out…good luck! I am in south-central gulf coast Texas and starts a butterfly garden. I knew the area where I was planting could hold water when it rained so I built up the ground significantly. I planted a Buzz black night as well as a large butterfly bush along the back. After a recent heavy rain where I discovered water was standing along the back of the garden, the buzz is completely dead. The large bush is fine and does not seem to be affected. Do you think it was too much water? The small bush was getting established. Hi Brooke, I’m so sorry to hear this. They prefer well-drained soil so it’s possible the excess water was too much for it. Gardeners in both the northern and southern range of where butterfly bush grows tend to have more issues with plants dying. Our 5-6 year old Buzz still has no signs of life, but it did this last season too. You might talk to some gardeners in your region to see what varieties they have the most success with. 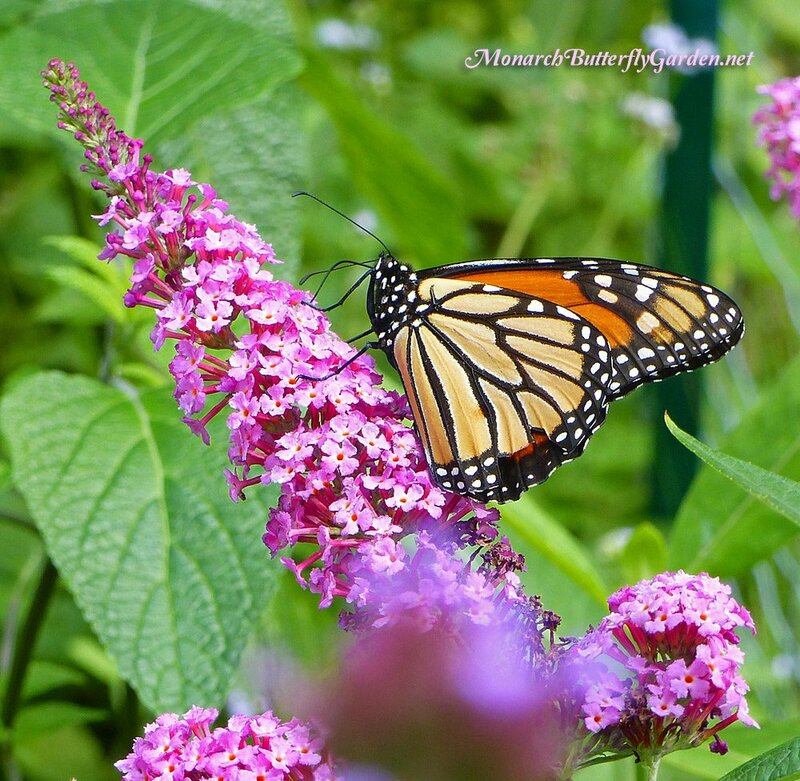 Good luck with your other butterfly bush! Thank you for the advice. I also trim mine back to two feet, although I was just out there this morning and see new growth on the bottom of the stems. So do I trim it back more then two feet since there is new growth at the very bottom of the stems, or just go with the two feet? Hi Katy, I’m going to cut ours back next weekend when the temps are a bit “springier”. I’m in the small pocket of zone 5a just south of Minneapolis. 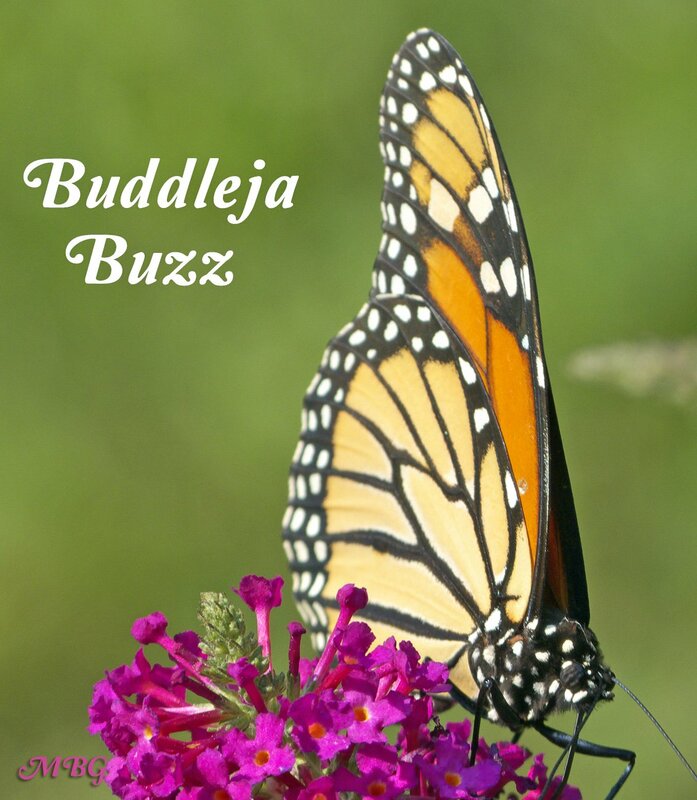 I started using the ‘Buzz’ variety of Buddlejas at our client’s homes about six years ago. They have proven valuable as medium to large slope plants here on the central coast of California. In places where they have thrived their height reached six feet in 24 months which is a lot more than the one meter that the growers were telling us. If pruned in early spring they can create beautiful and fragrant seasonal screens that are dense and add privacy to larger terraced yards. I’ve noticed that midnight has been more desired by our clients than the other colors though the magenta can be jaw dropping when you see an eighty foot hedge row in bloom. I have noticed that the lighter shades tend to attract more butterflies. I just planted my first Buzz Purple butterfly bush last year and love it. I live in zone 4 (SE Minnesota). You talk about pruning these back in the spring. This being the first week of April 2016, would it be a good idea to prune mine now which would be the dead growth from last year or do I wait until it starts with new growth? Interesting comments/answers on here you can learn by. Such as, I didn’t know you should dead head the butterfly bush either. Glad I found this site. I do plan on getting more of these bushes in different colors. They are so enjoyable to watch the butterflies, hummingbirds, etc..visit them. Hi Katy, this is a good time to prune back in our region. As an experiment, I am only going to cut it back to two feet and see if growth comes back on some of the branches. If it died to the ground, I’ll cut back the rest later. Yes, they are excellent for butters/hummers and more cold hardy than other varieties in our experience. I disagree with the comment that if you don’t deadhead Buddleias then this species is not for you. We prune ours in the spring. We leave the dead heads on throughout the winter here in Southern California. What we have found is that the finches and other seed eating birds love to come and feed on the seeds of the butterfly bushes. We love it. I highly recommend this plant in every butterfly garden. You will not be disappointed. Hi Steve, most buddleia varieties put out more blooms more with deadheading. In Minnesota, our goal is to keep it as a pollinator plant throughout the season. We host a lot of goldfinches in our garden, but they have plenty of other seeds to feast on. Enjoy your continuous season! I believe this is why gardeners don’t recommend planting them – the birds distribute the seeds and the new bushes that result compete with other native plants without providing the same benefits. There are so many flowers to grow whose seeds are favored by finches without any negative consequences. LOOKING FOR A PERENNIAL BUSH THAT IS BEAUTIFUL TO LOOK AT, BUT THAT ATTRACTS VARIETY OF BUTERFLIES ANY HELP WILL BE APPRECIATED. Hi Merci, since you are in a region where invasiveness isn’t an issue, you could try larger varieties too. My understanding is that they all attract lots of butterflies, but the yellow tends to attract more bees. 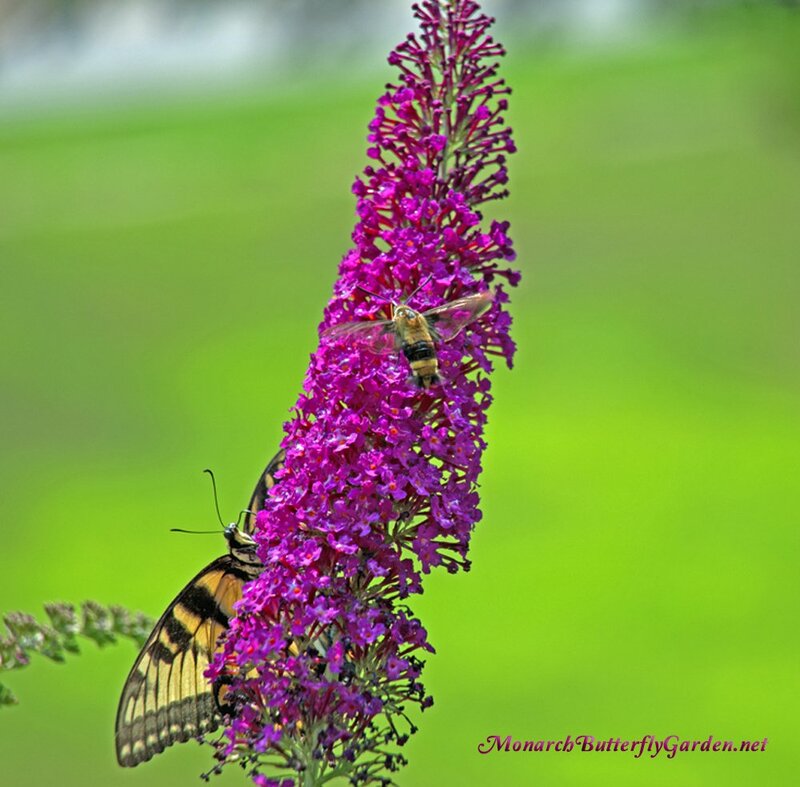 We added a pink delight butterfly bush this season and they seem to like that a lot. Clethra Alnifolia – summer sweet/sweet pepperbush is ideal and it’s native. I have the Ruby Spice Summersweet and it gets covered in fragrant blooms that attract bees, butterflies, moths, etc. I have planted lots of butterfly bush over a series of years here in Southern California, both at home and in one of the parks I used to take care of before retiring as a Parks Gardener for the city of Laguna Beach. By far, this plant consistently attracts the most numbers and most species of butterflies bar none. Due to space restrictions at home, I planted “Nanho Blue” in a large container. Does well, blooms great, but I do miss the larger varieties for their shear size (at least here in SoCal) and the magnitude of their flowering ability. I trained some of the buddleia I planted years ago at the park into small trees. They were cut back to 1-3 main branches and allowed to grow without yearly pruning. All other basal sprouts were removed as they came up. Eventually, some have reached a height of roughly 12 feet to the top and a canopy of about 8-10 feet in width… and full of blooms during season! In my park, I must have planted close to 2 dozen generic B. davidii along with some B. davidii “Dark Knight”. Reading up on Dark Knight, many extolled the virtues of its attractiveness to butterflies. Unfortunately, this did not prove to be the case for my SoCal coastal park. I’m amazed at how regionally specific nectar plants can be enticing to butterflies. The generic, run-of-the-mill, lavender colored seedling varieties proved to be butterfly magnets. Speaking of seedlings, these park buddleias produce a myriad of new plants each year. I used to dig some up for park visitors who wished to try some, and others I transplanted in the park where I could, but alas, the rest I had to yank out or spray out.